The easiest solution is to have a travel router that connects to the hotel's wifi and have all the devices (chromecast, phone/tablet) connect to the travel router. Only the router needs to be configured to access the hotel network and all your devices access the Internet through the router. Because all the devices are on the same internal network setup by the router your phone can easily find and access the Chromecast. Travel routers aren't expensive but often they rely on hotels with physical network connections to plug in to. 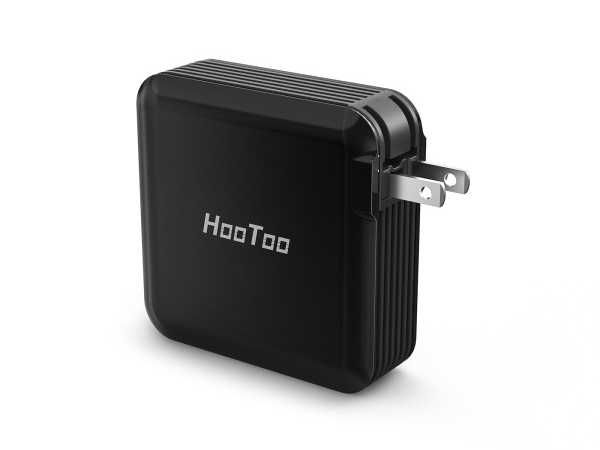 Setting a router up to not use a physical connection can be a pain, but then I found a HooToo Travelmate Elite. The Elite is a multi purpose device about the size of the Macbook's square power brick. It serves as a router, a battery power bank, media player (when you plug in your USB drive), USB hub, and USB wall charger. You can do a one-time initial setup for the internal network so that all your devices can connect to it and then when you plug it in at a hotel it will connect to the hotel's network. It can connect with a physical ethernet connection or to the hotel's wifi. When going through the wifi, the first mobile device that connects to it will get a prompt similar to what you see when you're at a public wifi spot such as at the airport. After it connects then the rest of the mobile device will all be able to access the Internet. Because I know that I'll always be connecting to the same network, I don't have to set every device at every place we go to and since the HooToo is a battery pack it will still work even if unplugged. Now I simply plug it in when I arrive at a hotel, use my phone to do first access to the Internet and then I can plug in the Chromecast to the TV (as long as it has a HDMI input) and turn on the other electronics and the family is happy.